We are visiting Düsseldorf, a great city on the Rhine, famed for its Christmas Markets, found on the main shopping streets. It is also renowned for the "Sternchenmarkt" ("Little Star Market") at the Stadtbrückchen, idyllically located in the courtyard of the Wilhelm-Marx-Haus. It has its own illumination, crystals that break the light into thousands of colours and sparkling stars. 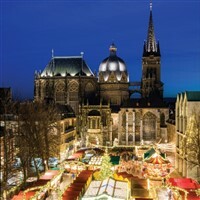 Aachen, where the brightly lit Christmas market is set around the cathedral, will take up one day. Another day will be to Düsseldorf for an exciting mix of Christmas markets and shopping delights. Then, on the last morning of the 2019 tour, we will stop in Valkenburg in Holland for the market in the Velvet Caves. 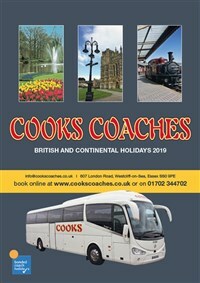 A respected hotel in a residential area of Aachen, just a few minutes by coach from the city centre. The bedrooms are fully equipped and environmentally friendly. There are 2 lifts and a roof level indoor swimming pool and spa. The restaurant meals are usually buffet style, offering various choices.